You are here: Home > Tutorials > SEO & Marketing > How Does Video Marketing Help in Generating Leads? Video marketing is becoming an indispensable part in B2B lead generation according to a survey in 2017. Web page Call-To-Actions (CTA), videos and live product demonstrations were most cited as the types of content producing a high volume of quality leads as per this survey. The grail of any marketing operation, in the long run, is to generate more leads and drive new sales. A video is far more engaging than a 700+ words document. I know many of you might be using video as a part of your marketing toolkit. But are you using to its fullest potential? Since video marketing is in various forms like virtual reality, 3D and live video, 2018 is plonking itself for a cosmic year in video. In this article, I will mention a few hacks that if done will help move your prospects to the marketing funnel. No one loves boasting about oneself. Your customers would never hear your product swanking throughout the video. Since the video has the power to carry people’s emotions and engage them through storytelling, it is desirable that the video centers on a story which will be worth sharing. One such example is an engaging 90-second video by Philips Avent Breast Pumps India for its communication launch for the same by Pulp Strategy. A stalwart single-mindedness urban mother knows the best for her child which was conveyed through the story and thus connected all mothers over the world. As I always suggest, be in your customers’ shoes. If you are busy and asked to watch a 5 minutes video, what would make you actually stay glued to the video? Yes, it’s content. But what decides whether the entire video has any engagement factor or not? The answer is its beginning. Thus, you can say that the first few seconds decide whether the video will make or break your marketing play-down. You can say hooking up of customers is important and therefore you need to raise their curiosity so that it could with further ado connect with the viewers. One such video is by an online biking community Trails of India. The video begins with a stunning shot of a biker racing and exclaiming whether he is mutineer or not. This video had an enrapturing response by the bike lovers from all over the world. Live videos have become an obsession with social media platforms. The response brands get through social presence has increased their cravings for user attention more. This consumer brand relationship becomes chummier with when your brand goes live. Commenting live make your videos more veritable. The content becomes more elicit. The live video listed in one of the top contents in HubSpot’s Top Live Video Marketing Tactics was of Jason Carr which is an interesting series of events. Jason Carr, a former news anchor for FOX 2 in Detroit, opts for live video and takes viewers on a ride to his new gig at WDIV-TV, Local 4 News. But this was kept completely a secret in the beginning. Recommended for you: 10 Actionable Social Video Stats All Marketers Should Know in 2018. 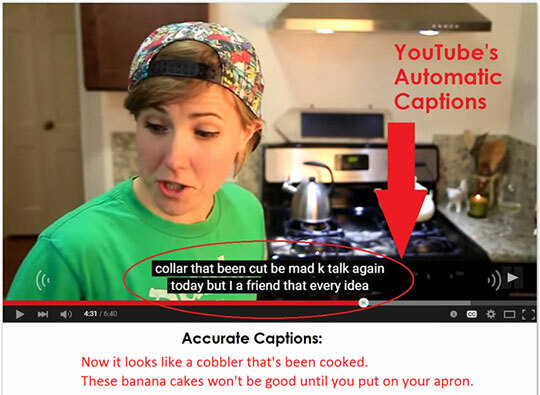 One of the main advantages of adding captions to your videos is to boost your SEO. Captions thus keep your content competitive within the social media platform. This is one of the best ways to be ensured that your customers are viewing the content regardless of where your video lives. The factors that deal with improving viewership like accent and pronunciation barriers is possible to tackle to a great extent with this. Many affluent marketers have started to embed subtitles in their videos. Reading facilitates recalling important parts of the video or more precisely the keynotes in the video can be highlighted. Promoting your video with subtitles is an intelligent move especially to non-native speakers. An important factor while you develop a content is checking relevance with the customer’s desires or their search. If it fails to show relevance to what customer is in search then it’s not worth sharing. Being a marketer, you need to identify through predictive analysis what’s essential. After a brief research, your job is to create a story that will catch your customer’s sight and attention. 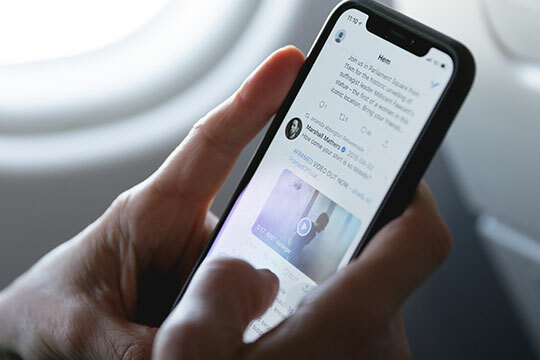 Live streaming is trending on almost all social media platforms like Facebook, Instagram, and even WhatsApp. Creative stories with a strong storyline get high engagement rates. It’s wise to create a short and eye-catching video story for your viewers and followers. Your brand’s success story may be one of these stories. These 7 tips would prove as an aid for people who are looking to improve their video quality for marketing. Since video contents are more engaging in terms of generating leads and an increase in sales, here are few tips that will help in using your contents to its full extent. You may also like: 5 Key Factors that Affect the Engagement of eCommerce Videos. You need a ticket to enter in the parking area. Similarly, your videos should get gated. Inbound marketers should capture prospects’ information by gating the videos. For instance, Vidyard has created a way to grab potential leads information in order to view the video content. Gating ensures you to get the contact information of leads. It helps you to analyze the quality of your top-of-funnel content. Proper Calls-To-Action: There are few tips for a proper call to action to your videos. When you want people to do a particular action, you need to be very specific about your intentions. Subscription: If the main intention of your video is getting more subscription then you need to insert the subscribe button and tell them to subscribe now. Make an appointment: If you want that your viewers should make an appointment after watching the video, it is desirable that you should ask them to make an appointment with you or with your office for getting the quotations or for inquiry. Call Now feature: You can leave contact details after the video so that your prospects can call you up and ask all the details. Download today: If the intention of your video is to download the video by the viewers then mention the proper links for downloading. Join my list: You might have observed, many videos at the end ask you to join their channel or list by pressing some icon or button. You can do the same. Comment Below: If you need to connect with people, you need to ask your viewers to comment below in the section or join the discussion after your video. Video Landing Pages: At first place, a landing page is basically formed for conversion purposes. 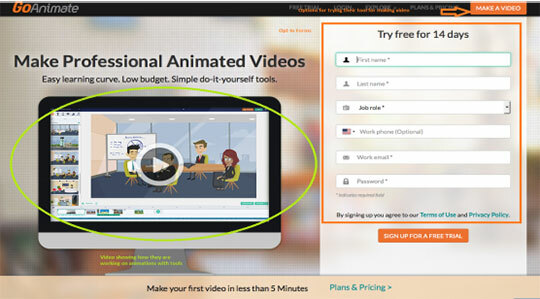 Therefore, if you use a video as a climax on the landing page it acts as an icing on the cake. Your viewers would watch till the end without their eyes wandering on other sites. You will also have a space to set your opt-in forms. If you see this screenshot below, the video on the left shows that how they are using their tool and creating animated videos. On the right, you can see an opt-in form for 14 days free trial. On the right corner, you can see they have provided a button to try making a video with their tools. A visitor will always believe on what other consumers speak about your services or products. Your boasting with your own mouth won’t be helping to increase the lead generation for your business. Therefore, you need to add testimonials about your current customers who are speaking about your services and how their lives have been transformed by your products. 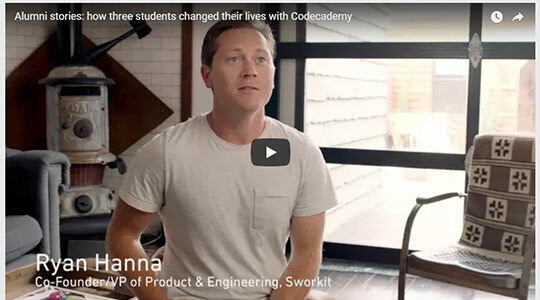 One such example is of CodeAcademy where their alumni are sharing their success stories. You get distracted by another one on the sidebar. You start watching another one and forget about the first one. Your main aim is to bring back your viewers as many times as possible. Therefore, you need to engage them with contents that woo them as per their need and relevant to their search. In other words, you need to rule their minds. 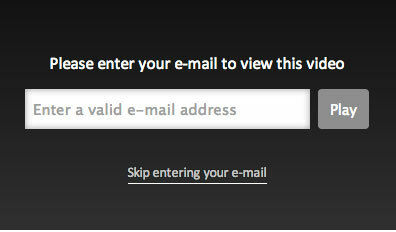 Therefore, you should provide redirection before the video ends. This should be relevant to the video he was watching. You have to anticipate the viewer and provide him with solutions for what he is searching. 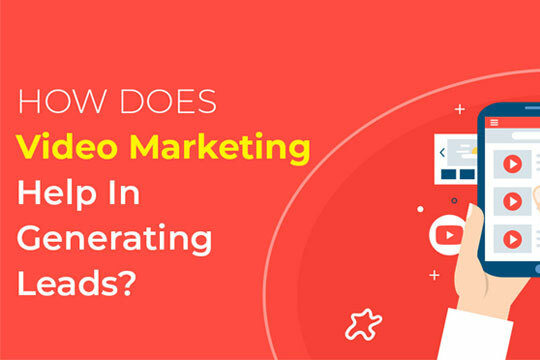 Videos are capturing the lights for being a center stage for marketing and attention of the marketers for generating leads. With its visual treat feature, videos are getting an overwhelming response over the world for the B2B lead generation. This article is written by Harikrishna Kundariya. Harikrishna is an accomplished Design & Development executive with over 10 years of experience in the Developing industry. He is currently President and CEO of eSparkBiz Technologies, a Website Design Company. Connect with him: Twitter | Facebook | LinkedIn.